We wish you all a Happy New Year! May 2018 be your best year yet full of health, love, happiness and success! 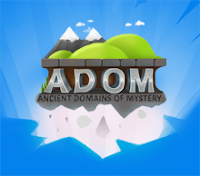 We will be focussing our main efforts on creating Ultimate ADOM and if you are interested in my musings while building a new and much improved game engine from the ground up please follow my Twitter account as I enjoy posting random coding tidbits there and it will be a lot more interesting (to some of you ;-) ) than just the ADOM issue updates of the past! 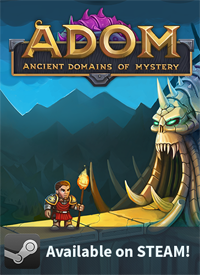 We also just released ADOM 3.0.6 on Steam fixing a minor but important issue with challenge mode (neutral genders could be generated). 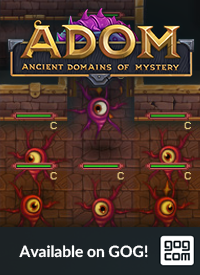 Your Steam installation will be automatically updated. 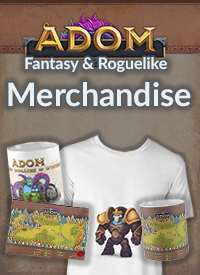 Enjoy (and see the changelog for its little release details)!